On Friday we went to Machu Piccchu! First we went to Ollantaytambo to catch a train. We rode in the Vistadome train. 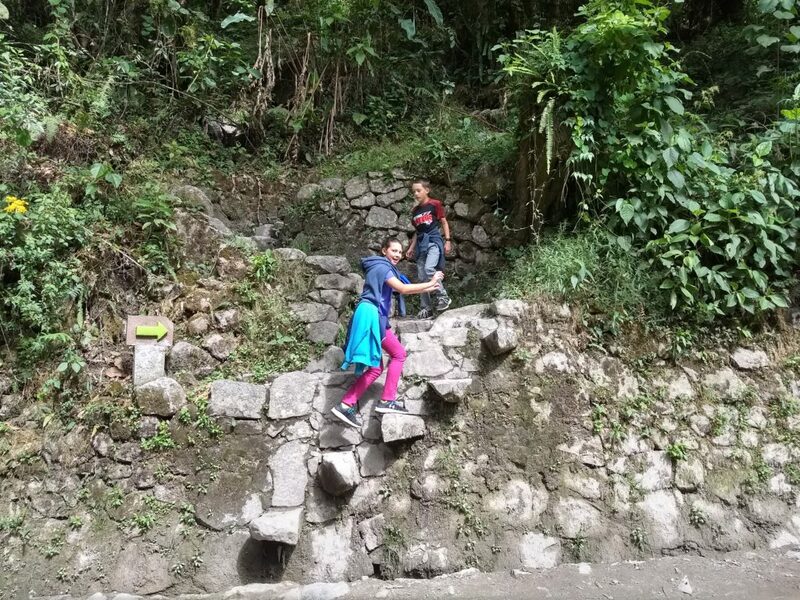 In Aguas Calientes we started our hike up. The hike was really hard going up because it was all stairs. The stairs were SO cool the way they were built! Check out the picture below. 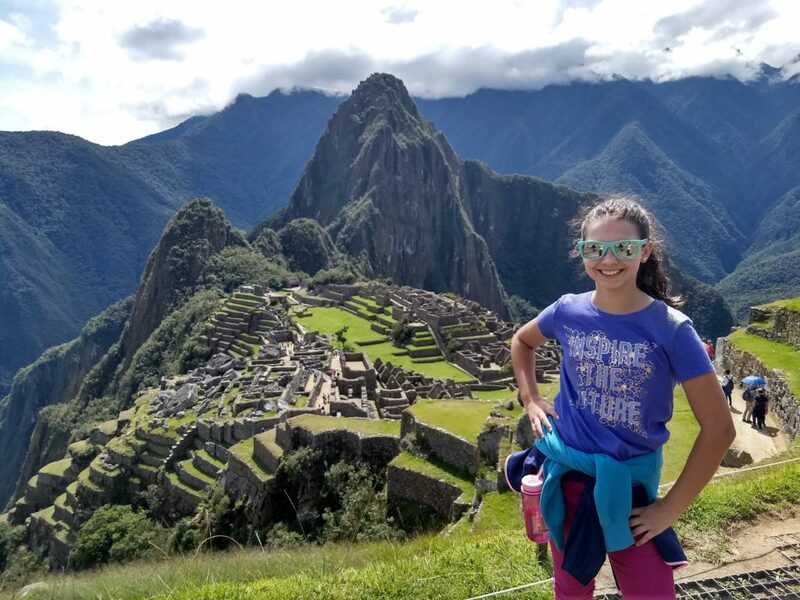 Machu Picchu has amazing views everywhere! We went on a small hike to the Inca Bridge. The trail to the bridge was skinny and was a far drop if you fell off. While we were walking on the trail there were 4 big lamas. 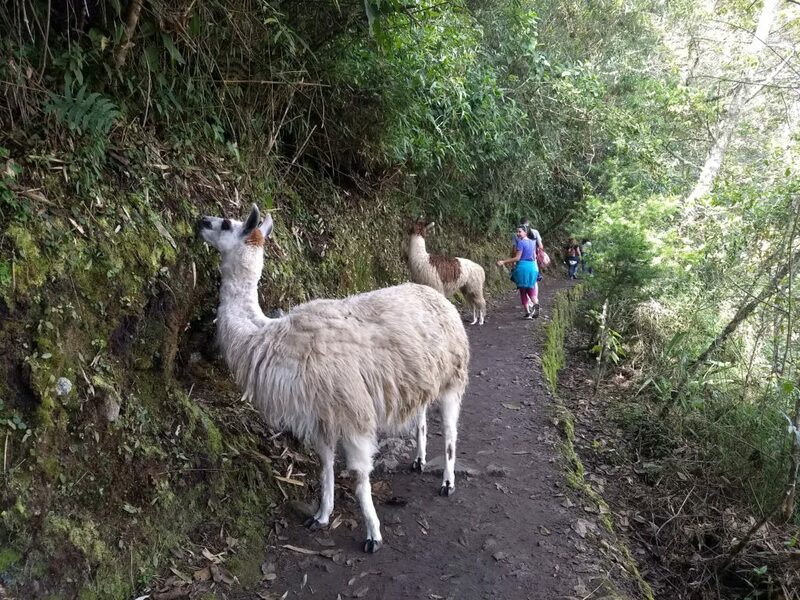 The lamas were taking up a lot of the trail, so you had to squeeze behind them and try to not get pushed off. Everett almost got pushed off the edge! The most impressive thing was how well the Incas built everything. 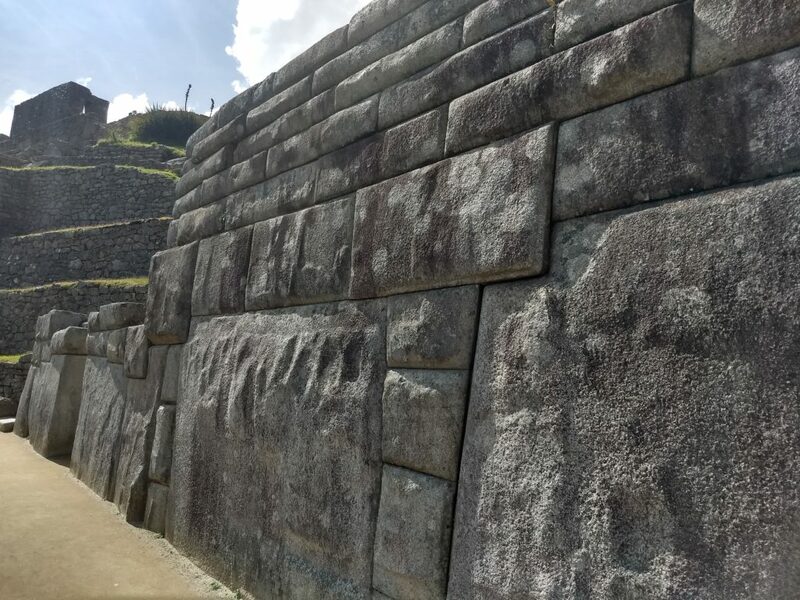 Machu Picchu is definitely the place to go!